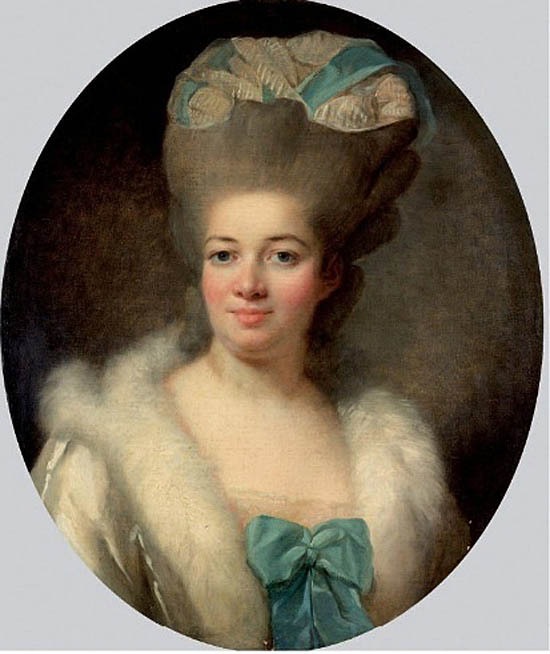 Rose Bertin was Marie Antoinette's dressmaker and milliner. The image of Rose Bertin came from London's Witt library. View page from the Audap & Mirabaud November 2014 Auction catalog. The image was first provided by Francis and Martha Kelly of London when this collection was started. View the 2014 sale document. 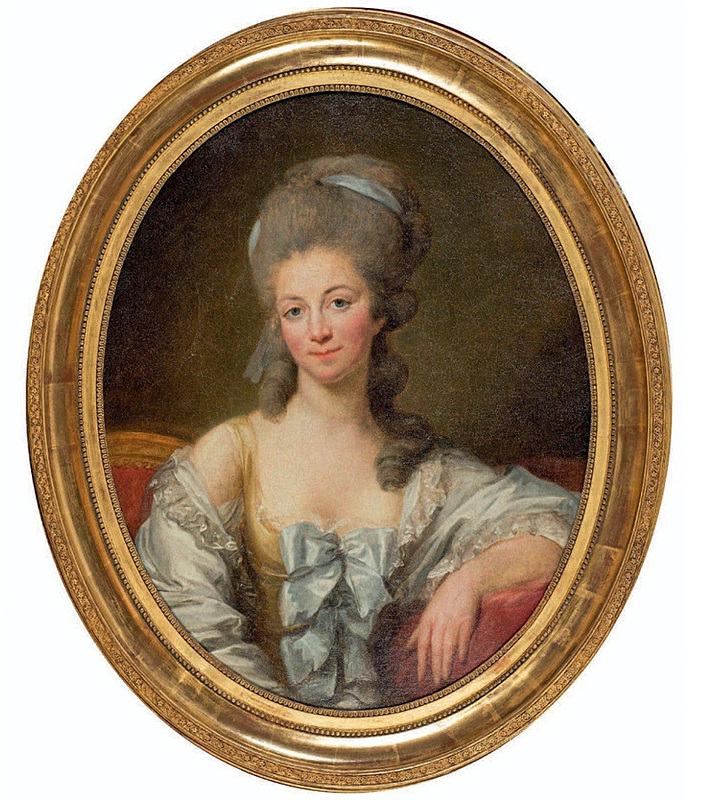 Comtesse de Thellusson (1769-1852) was born Jeanne Rosalie de Reghat. 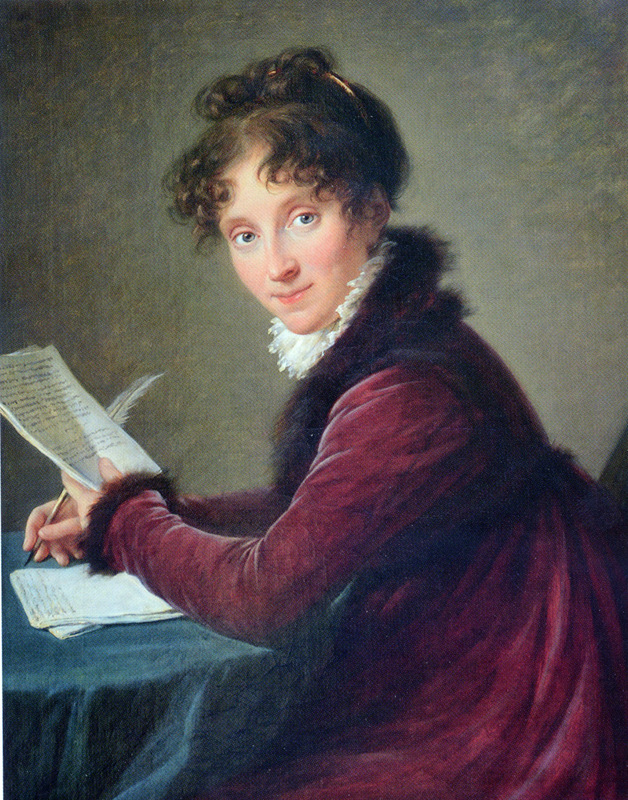 Her second marriage was to Pierre Germain de Thellusson (1767-1831). This portrait was displayed in the 2015 Paris Exhibition.